Sailboats, lobster boats and fishing trawlers moored in the Belfast, Maine harbor. Although Belfast is a relatively small town of 6,600 people, it is one of Maine’s most popular tourist destinations. The surrounding area includes the towns of Belmont, Frankfort, Islesboro, Brooks, Winterport, Burnham, Freedom, Liberty, Jackson, Knox, Northport, Palermo, Lincolnville, Montville, Morrill, Searsmont, Searsport, Prospect, Swanville, Troy, Stockton Springs, Thorndike, Waldo, and Unity. These towns are rich in history, full of cultural treasures, and surrounded by some of the most breathtaking scenery in the entire nation. The Belfast area was part of the Penobscot tribe’s territory until the land was granted to the English in 1630. Scots-Irish settlers first established Belfast in 1770 and built its reputation as one of New England’s most important seaports and shipbuilding towns. Wealthy shipbuilders built numerous mansions and civil buildings appreciated by visitors today. USA Today named Belfast one of the coolest small towns in the United States. The Belfast Historical Society and Museum is committed to protecting artifacts relevant to the area’s history. This fascinating museum houses several permanent exhibits, including Percy Sanborn paintings, photographs and paintings from Belfast’s maritime history, items from Poor’s Apothecary, model ships, items from local inventors, a two-cell jail, memorabilia from aeronautical pioneer Captain Albert W. Stevens, and a recording of the first long-wave radio broadcast from across the Atlantic. The historical society also sponsors the Museum in the Streets tour, a free self-guided walking tour. This tour leads you around the city to look at the downtown area, architecturally significant buildings, the waterfront, interactive street sculptures, and vintage photographs on display throughout the town. Look for the magnificent Federal, Italianate, and Greek Revival mansions scattered throughout the historic district. Families and train enthusiasts will enjoy taking a ride on the historic Belfast and Moosehead Lake Railroad. Excursion passenger trains begin at Belfast and travel approximately one hour, allowing you to experience the natural beauty of the surrounding area. These trains operate on weekends during the summer months. A number of local businesses offer boating tours of Belfast Bay. These excursions typically last several hours and afford you the opportunity to view eagles, osprey, puffins, and seals. From mid-spring through October, lucky visitors may spy a whale. Belfast is renowned as a boutique shopping destination. From small vintage clothing stores to antique shops and 18 local art galleries, there is something for everyone. Stroll the downtown area to window shop and find a souvenir to commemorate your trip. Belfast Harbor Fest is one of the highlights of the year. Held each August, this festival celebrates a boat-building challenge, a boat launch party, maritime exhibits, demonstrations, and other boating events. The celebration also includes a pancake breakfast, a 5K race on the waterfront, live music, and delicious food. Another Belfast festival is the annual Maine Celtic Celebration. The Midcoast region of Maine has a rich Celtic heritage, which residents celebrate with highland games, a 5K race, cheese rolling contest, live music, and traditional foods. The event is held each July; admission is free, but donations are appreciated. Although summer is the high season for Belfast tourism, winter visitors are rewarded with an exciting local festival. Each New Year’s Eve, Belfast throws an amazing party on the waterfront to ring in the new year. Enjoy live music, spectacular local cuisine, and an evening of dancing. With the ocean just steps away, there are dozens of recreational activities in Belfast. Take a walk along the waterfront to breathe in the fresh sea air. The pebble beach is a well-known place to find unique shells and sea glass. Alternatively, explore one of the town’s eight city parks. A bicycle tour of the area is a great way to get acquainted with historic Belfast. Midcoast Maine is one of the best sea kayaking destinations in the world. Brave the chilly waters of Belfast Bay to spot ocean creatures up close. There are numerous coves, islands, and rocky beaches to explore from a kayak. The relatively sheltered bay is also a prime destination for sailing and boating. Visit a local outfitter to rent paddling or boating gear. Golfers will enjoy the Northport Golf Club, located just south of Belfast. This classic nine hole course is beloved by residents. Amenities include a practice range, putting area, snack bar, and full-service pro shop. Enjoy the spectacular views from this well-groomed course for a fun, relaxing afternoon. Belfast features several inns and bed-and-breakfasts housed in historic buildings. The White House Inn, a 1840 Greek Revival Manor, offers elaborate plaster moldings, marble fireplaces, and comfortable rooms in a grand bed-and-breakfast setting. The Belfast Wealthy Poor House, a Federal style home built in 1824 that is now a bed-and-breakfast, preserves its 19th century charm while incorporating modern amenities. Belfast also has a number of hotels, motels, vacation rentals, cabins, cottages, and campgrounds. No matter your budget or style, there are accommodations options for you in Belfast. When dining in Belfast, be sure to try the lobster and clam chowder; these local specialties are sure to please. The town offers numerous restaurants, from Italian to Chinese to French. Consider pairing a Maine wine or locally brewed beer with your meal for the full Maine experience. Casual cafes, diners, and pubs are other popular dining options. Belmont is a small town located just southwest of Belfast. It is home to the Ducktrap River Preserve, which at 1,135 acres is the largest preserve managed by the Coastal Mountains Land Trust. This preserve extends along the Ducktrap River, conserving its species, maintaining water quality, and boosting the Atlantic salmon population. The tract of land is an excellent place to hike, with beautiful views of the river and forest. Brooks, a town of 1,000 people located northwest of Belfast, is home to the famous Marsh River Theater. Housed in a historic 1903 building, the Marsh River Theater offers a variety of performances, including classic plays, musicals, contra dancing, and more. After catching a performance at the theater, enjoy a day outdoors on nearby Toddy Pond, Lake Passagassawakeag, Halfmoon Pond, or Ellis Pond. These are popular areas for anglers, canoeists, boaters, and swimmers. Burnham and Unity are two communities located near Unity Pond, a popular recreational area just northwest of Belfast. Known for Unity College, a private liberal arts college in the area, Unity is also home to the Unity Raceway. This is a popular regional site for stock car races, which are held throughout the summer and autumn months. Each year, the Maine Organic Farmers and Gardeners Association holds a regional fair in Unity in September. The fair celebrates the rich agricultural tradition of this area of Maine, with a farmers market, arts and crafts booths, folk arts, kitchen demonstrations, agricultural products, and other exhibitions. Frankfort is the oldest town on the Penobscot River. Settlers first arrived in the area in the 1760s, and the town grew after the end of the French and Indian War. Granite taken from nearby Mount Waldo once formed the backbone of Frankfort’s local economy. Today, visitors enjoy hiking to the 1,500 foot peak of Mount Waldo and exploring its abandoned quarries. These quarries can be an exciting place to look for fossils. The Frye Mountain State Game Management Area is located within the towns of Knox, Morrill, and Montville. Located just a few miles northwest of Belfast, this is an excellent place to enjoy outdoor recreational opportunities. This area is open to the public, with amazing trails suitable for hiking in the summer and snowshoeing or cross-country skiing in the winter months. Liberty, a town due west of Belfast, is home to Lake St. George State Park. At over 1,000 acres in size, this park includes Lake St. George as well as surrounding woodlands. There is a swimming area staffed by a lifeguard during the summer. The park also features a picnic area, 38 campsites, flush toilets, showers, and a boat launch. Consider renting a boat or canoe to enjoy the lake, or simply lie on the beach to soak up the sun’s rays. Although the Aroostock War was bloodless, the tensions between the United States and United Kingdom led to the construction of numerous forts in Maine. Fort Knox, located in Prospect, was built on the western bank of the Penobscot River. As the first Maine fort built of granite, it is an interesting structure and piece of U.S. military history. After viewing the fort, head to the Penobscot Narrows Observatory. As the tallest public bridge observatory in the world, this structure provides spectacular 360 degree views of the surrounding countryside. The South Branch of the Marsh River also passes through Prospect and is popular among paddlers. Searsport, also located on Belfast Bay, is known as “The Antique Capital of Maine.” It is also home to Wassumkeag, or Sears Island, the largest undeveloped and uninhabited island accessible by road in the entire eastern seaboard. This 940 acre island provides unparalleled views of Penobscot Bay for those who want to walk, hike, or bike to explore — no cars are permitted. Moose Point State Park is another great location to see Penobscot Bay. This park offers picnic grounds, an evergreen grove, tidal pools, walking trails, and a playground. The Penobscot Marine Museum is the oldest maritime museum in Maine. Its excellent exhibits chronicle the region’s shipbuilding and seafaring history. Exhibits include historic boats, sea fisheries, folk art, photographs and memorabilia from sea captains, ship models, and art. Stockton Springs is a fun destination in the Belfast area because of its natural beauty and historical significance. It is the site of Cape Jellison, a 1,600 acre peninsula extending into the Penobscot Bay. Fort Point State Park is situated on 120 acres of a smaller peninsula jutting from the cape. The park is the site of Fort Pownall, established in 1759 to protect settlers from the Native American threat. Later, the Fort Point Light Station was constructed to warn ships of the rocky coast. Although this lighthouse is not open to the public, the grounds are open during the daytime. Stockton Springs is also home to the Sandy Point Beach and Nature Area. This is a great beach for swimming and beachcombing. However, there are no facilities and parking is limited. Located on a picturesque lake due north of Belfast, Swanville is home to Swan Lake State Park. This 67-acre property is a great place to gather for a family reunion, picnic, or other event. There are several picnic sites with grills, a beach staffed by a lifeguard in the summer, nearby vacation rentals, and public boat access for anglers hoping to catch landlocked salmon, smallmouth bass, brook trout, and white perch. The Carlton Pond Waterfowl Production area, located in Troy, is a manmade pond spanning 1,055 acres. When Carlton Brook was dammed, this pond formed and became a protected area for waterfowl and other wildlife. Sometimes called Carlton Bog, this is one of very few areas in the state where endangered black terns nest. Birdwatchers can spot up to 33 species that use the pond and nest in the area. One of the best ways to explore the pond is by canoe, allowing you to glide through the water without scaring nearby animals. Fishing for smallmouth bass and pickerel is also popular. Named Winterport because its harbor typically remains ice free during the freezing winters, this town was once home to wealthy sea captains. Walk through the Winterport Historic District to see the 1834 Union Meeting House, nineteenth century mansions, and other architecturally significant buildings. Each year, the town hosts the Winterport Music Festival, a several-day event that brings visitors from across the state. Musical selections range from Irish music to reggae and traditional jazz. The town is also the site of the Winterport Dragway, the site of car shows, drag races, and other auto-related events. If food and drink are more your style, visit the Winterport Winery, which has produced a variety of award-winning fruit wines. The winery recently expanded to include the Penobscot Bay Brewery, which produces flavorful craft beers. 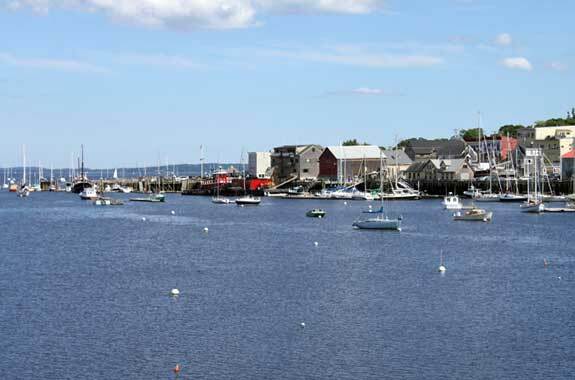 Visit the following directories to find lodging, dining, attractions, shops, services and recreational activities in the Belfast, Maine area.